How can the holidays almost be rolling around again?? Seeing too many people who are ‘listening to Christmas music’ on their fb statuses has me starting to think about end of year gift giving. I have a half dozen niece/nephews who are typically my very favorite people to shop for because who doesn’t want to buy kids stuff, right?? Two years ago, I experimented with a new minimalist gifting plan that I had seen on Pinterest: one thing you want, one thing you need, one thing to wear and one thing to read. I loved the simplicity of it and that it involved giving them things that are both useful and fun. In the mix of all of the myriad gifts they all got, I think even this plan involved the gifts getting lost in the shuffle of more, more, more. I am a self-proclaimed expert gift-giver. I love thinking of things people will enjoy, ways to surprise and delight them and picking up things that people aren’t expecting. In such a crazy culture of consumerism, I like to think about how to give gifts with meaning, thought and life to them. If you’re struggling to find a way to give meaningful gifts, I have some quick tips for you below! Last year I changed it up again and decided to not give my niece and nephews gifts at all, but instead to plan a special activity with each of them. My niece, who was 7 years old at the time, was just starting to get in to fashion and really enjoying selecting her own clothes so we went on a mini shopping spree and to lunch – kind of a Girls Day type thing. I took my basketball-obsessed 8 year old nephew to his first NBA game in Milwaukee to see his favorite player (Steph Curry, obv) play. For each of them, I thought about something special we could do together that they would enjoy. Over the course of about 6 weeks after Christmas we did all the planned activities and while I was hopeful they would be successful, I was truly amazed at how meaningful the time and experiences were. I will absolutely do this again. This type of gift is so much more about time spent together than about actual “stuff.” I loved that we were creating memories that will last so much longer than a gift. Another type of gift I love giving is something that is personalized. This is similar to how we approach planning events – my philosophy is that I always want our events to be so personal that you couldn’t substitute a different Guest of Honor because it wouldn’t make sense. I love when things are customized. This is probably because I have a complex from growing up during the age of personalization with a name that literally NEVER showed up on any of the personalized items you can buy in the store. I will never forget this: in 3rd grade, we took a trip to Disney World and there was a store full of every single personalized item you can think of. Water bottles, hats, shirts, pens, pencils, candy, trinkets of all kinds. There was not one single item in that store with my name on it. But! There was a guy who was doing on-the-spot personalization of bookmarks with your name done in calligraphy. I kid you not I still own that bookmark. To this day it is the first item I can ever remember getting that had my name on it spelled correctly. There’s something special about giving someone something with their name on it. This type of gift can be very special. 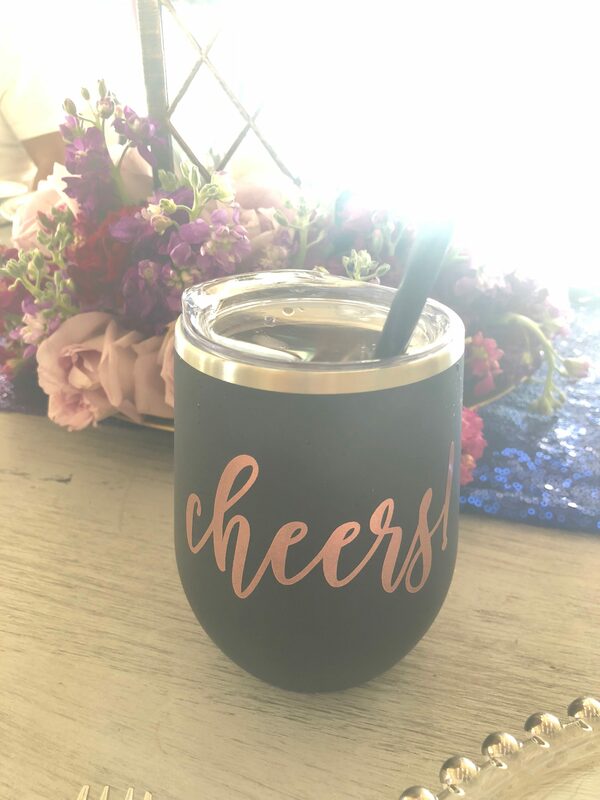 Right now, I am a big fan of this awesome personalized insulated wine cup I was gifted. 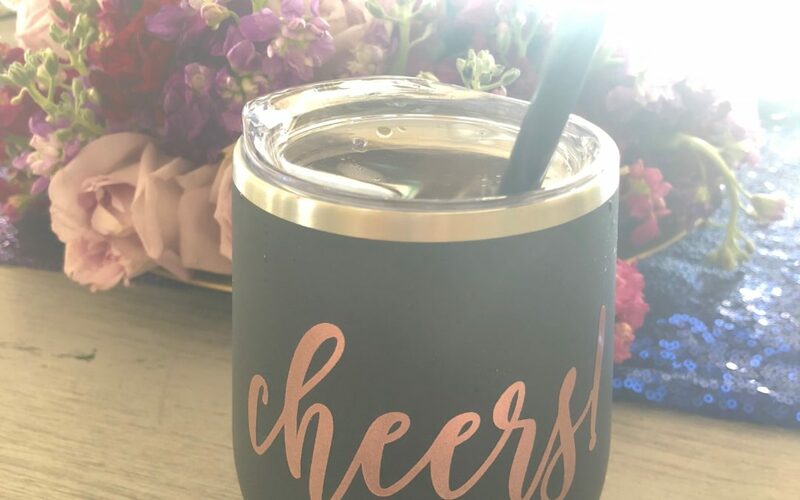 Personalized gifts are still one of the best options for bridesmaids & groomsmen gifts, too. I know not everyone is crafty, but there are lots of ways to make a gift. If you can’t craft, perhaps you can cook. If you can’t cook, maybe you bake a mean cake. If you don’t bake, maybe you brew a mean beer. Almost everybody has a skill that they can use to make someone else happy. Some of the best gifts are homemade because it takes a bit more thought to make a gift than to just buy one. My sister and I like to get creative sometimes and give gifts to our neighbors that are homemade. One of my favorites was also an idea from Pinterest: homemade spice mixes that we put in decorative clear glass Christmas ornaments. They turned out beautifully, didn’t take that much work and were super useful. When it comes to party favors, my typical advice is that people love things they can eat. You can’t go wrong making someone an edible gift.